Saturday December 22, 2018 @ 10 AM. 213 acres section 8 & 17 Crawford TWP, Wyandot Co. Ohio. Located at the west edge of Carey Ohio with entrance off of St. Rt. 568. This Farm offers soils that will accommodate corn, beans, potatoes and wheat, showing approx. 70 acres of Carlisle muck. The farm has 211 foot of frontage on St. Rt. 568. There is an open ditch through the north 1/3rd and has random tiling throughout. Terms on real estate: $25,000.00 (non-refundable) shall be paid down on the day of the auction and balance within 45 days when the deed will be given. 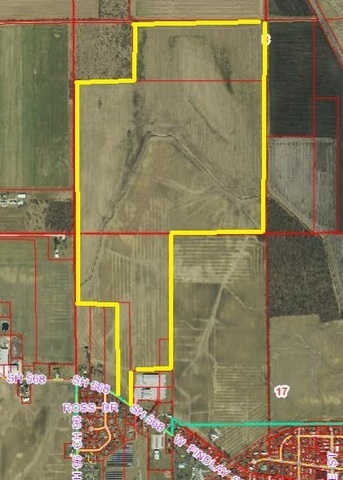 Purchaser to receive the 2019 farming rights and may do fall tillage following their down payment sale day. All inspections shall be completed prior to auction day at the buyer’s expense. Buyers financing must be prearranged. Sellers reserve the right to reject any and all bids but fully intend to sell day of auction. Go to web for information.